Here below, we are having all the relevant information regarding it like its specifications, how to book order online, etc. Scroll down and get all of it. The good thing about it is that it will be available on Cash On Delivery. Thus, you don’t need to pay beforehand. 1.2 How to Buy Namotel Mobile Online at www.namotel.in website online? You must have heard about Freedom 251 and Docoss X1 mobiles. They were offering good quality specs with a minimal price. At last, they both turned out to be just fake and were for fame only. A huge proportion of the Indian population got fooled by them. No one received anything. Now, there is one more player in the market. A company named Namotel has launched its ‘Achhe Din’ phone at a little price of only 99 INR only. Namotel 99 rupees mobile has become the cheapest Android phone in the world. During the product launch at a press conference, promoter Madhava Reddy revealed that it is the cheapest 4-inch phone ever produced in the world. It sports 1.3 GHz quad core processor having 1 GB RAM. 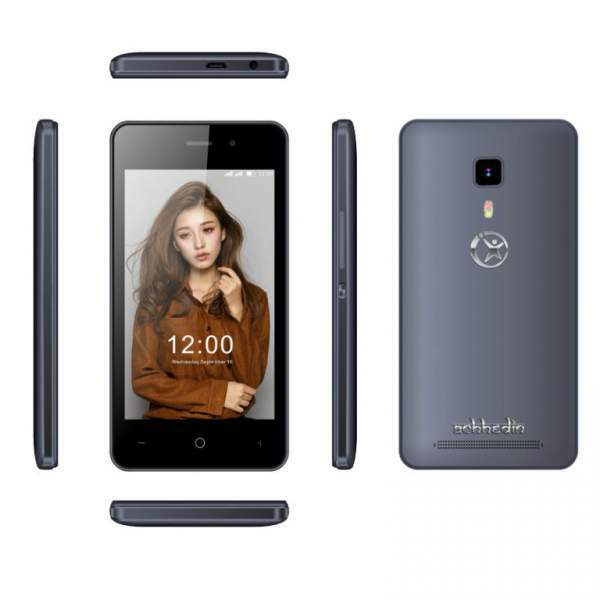 Namotel 99 is now the cheapest Android 3G smartphone. Below, we have all the specifications, features, and price in India. See below, how you can register/buy Rs. 99 Namotel online via booking. Follow the below-mentioned step by step procedure. How to Buy Namotel Mobile Online at www.namotel.in website online? Being a Bangalore-based start-up company, it is offering the phone at a very low price. It has been titled as Namotel Acche Din, and they have higher end versions too. They are referring Achhe Din phone as the India’s mot affordable smartphone. Check out the booking dates and other details. Rear Camera: 2 megapixels with many camera modes. Internal Memory: 4 GB Internal Storage (ROM). User Available Memory: 2 GB (Internal). External Memory: Expandable Using microSD card. Click To Book Namotel Mobile Online Here. Click on the ‘Achhe Din’ link on the top menu. Then, click on Register tab to book. Before going to fill up the registration form, you must have scanned image of your passport size photo (less than 1 MB in size) and Aadhar card scan (less than 2 MP in size). If you don’t have BeMyBanker ID, then go to www.bemybanker.com and register for an ID. Then, fill the address and other details like pin code, etc. You will need to confirm it via going to your email ID as you will receive mail to confirm it. You may also receive an SMS on your registered mobile number. It’s done. You order should have been placed at this point of time. The company is offering one year warranty and boasting of having many service centers across the nation. The only payment option is Cash On Delivery (COD). Other payment options like Debit/Credit card and net banking are not available. ?. . . .धमाका ऑफर. . . .? Part Time Job / Work daily 1-2 Hrs. आईये 15000-50000 हर महीने कमाये ! 1⃣ Play Store में जाओ ! TEAMTRIUMPH सर्च करो ! 4⃣ Sponser ID मागें तो T19774 डालो! I want to purches this mobile. Durga charan Bhoi, At-Badusahi, Po-Narisho, Dist-Khurda, Pin-754004, Mob-07205424616, Thanks Namotel.